Back in May, we pitched Flight of Light to a number of potential investors. However, none of them were particularly interested in the game. A disappointing experience, but on reflection came the realisation the game lacked focus. It felt schizophrenic, two competing personalities and styles, neither of which was really fulfilling its potential. 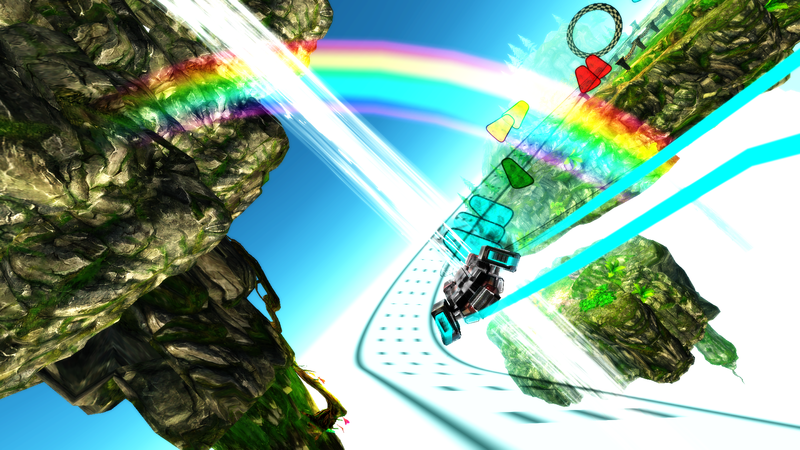 We decided to redirect attention towards the futuristic neon racer side of the game. The simple reason that it was the closer of the two to being finished. It’s also much more technically within reach to make a really good job of it. I initially spent a number of days trying to improve the algorithm for the unfolding triangles on the Autumn level. So that it could unfold into any given shape, allowing for a whole landscape to unfold in-front of the player. Sadly, it was just beyond my capabilities, and left me banging my head against the wall, going nowhere fast. We’ve also had issues for years with trying to illustrate how Flight of Light is played through video. Incremental changes are slowly making it easier to learn the game without instruction. That’s having a positive knock-on effect that it’s also easier to work out what is going on just from watching the game. However, even if it’s still a little hard to work out precisely what the game is all about, if it looks good, that at least encourages people to want to find out more about it. 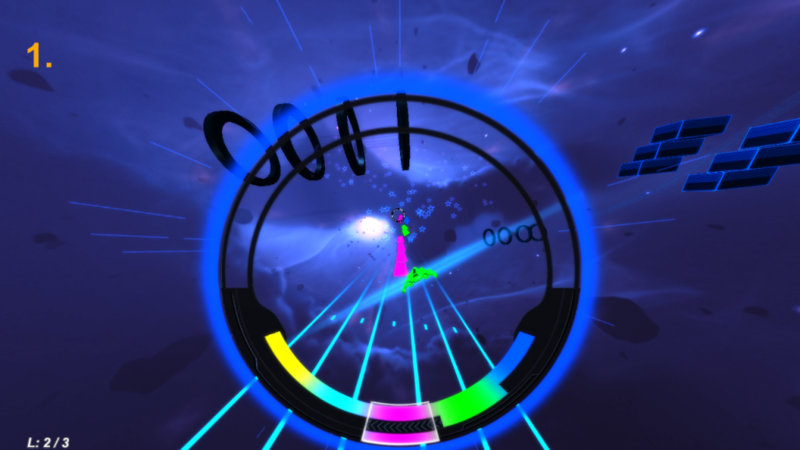 Graphics really do matter, especially when selling a game, and it’s easier to create a futuristic racing game than an artsy, low-poly procedural musical experience. Furthermore, the audience for the former is arguably larger and easier to reach with the sorts of tools available to low-budget independent developers like us. The aim is now to release version one of the the game by end of January 2017 (or thereabouts). That will then provide a platform from which the game can potentially be expanded to include different styles and new modes of play.